There is no shortage of memes out there depicting fathers as “another child in the house” or otherwise implying that men are essentially incapable of adequately caring for themselves or their offspring. Bashing men via social media is a very popular pastime, and bashing fathers is a big part of that. I’m sure you’ve seen one of the many daddy-bashing visuals circulating the internet. They are sent via email to colleagues, favourited on Twitter, liked on Facebook, commented on with “LOL”… and otherwise shared, tolerated and encouraged. First of all, are these women really such poor decision makers that they actually chose to live with and raise children with incompetent humans? Are they exaggerating to get pity or to elicit a laugh at their partner’s expense? Are they hoping to get a badge for their mommy martyrdom? Or are they possibly control freaks and perfectionists who, instead of working on their need to control people and situations, are focusing on and mocking their partner’s inability to live up to impossibly high standards? I am not talking about women whose husbands refuse to change a diaper or to be involved in a child’s life in any significant way. There are men in this world who are, indeed, “deadbeat dads”. No, I’m speaking of women whose partners are trying their best to parent with whatever experience and confidence they have. Women who are (unconsciously) working toward further degrading the already low opinion that our society has of the capacity of men to be good partners and parents, and fuelling other women’s distrust of their own partners as parents. Do we, as a society, want men to be involved in their children’s lives and in the day to day care of their children? Then why do we collectively put them down when they try their best to be good partners and parents? Why do we post cruel “jokes” on social media sites which depict fathers as incompetent fools? Why do some people still refer to daddy-child time as “babysitting”?!? Are most mothers controlling by nature? I recognize that I have to fight my own inner control freak frequently on this journey of parenthood, from trying to hide my look of horror when someone suggests I put my child with no neck control in a high chair, to wanting to whisk my baby out of the baby blanket class at the Early Years Centre immediately when I see another mom in the room coughing or sneezing, to wanting to physically remove an inquisitive and grubby toddler’s hand from my daughter’s face. I know that one of the life lessons Willow is teaching me is about giving up control. My husband doesn’t put diapers on the same way that I do. Our daughter is no worse off for it. He carries her differently. He cuddles her differently. He soothes her differently. He plays with her differently. His way is not wrong. 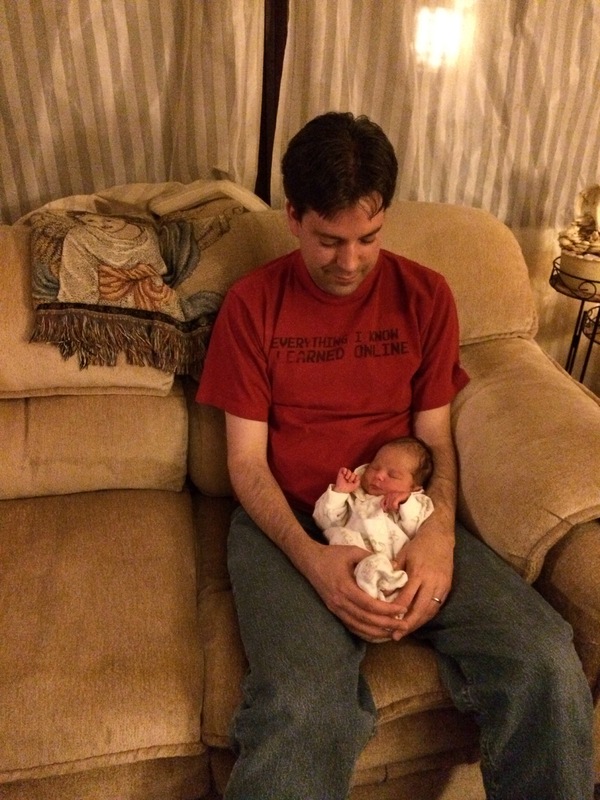 It is Daddy’s way, and Willow seems to be cool with it… So why should I take issue with it? Willow has a pretty awesome Daddy. He is learning how to be a parent, just as I am. He has strengths and weaknesses, just as I do. He is not perfect, and neither am I. There is nobody else on this planet I would rather have as my parenting partner, and I am so glad that he is thriving and growing in his confidence as a father despite the negative messages fathers receive in our culture. Involved and loving Daddies of the world, thank you for doing things “your way”, even when you are told it is not the “right way”. Thank you for loving your children in the way that only a Daddy can, and for doing all of the thankless everyday jobs that we so often forget to notice. Thanks for taking things in stride when your partner is repeatedly praised by society for her hard work as a parent and you are often left out or ridiculed. An involved and loving Daddy is a gift to a child that leaves a lasting imprint on both the child and the human race. Thank you for making our kids and our world kinder, gentler, and full of love.